We have a new version for you! Don’t forget, just go to http://www.urbanexplorergolf.com and buy the game right now to gain immediate access to the current version and all future updates! 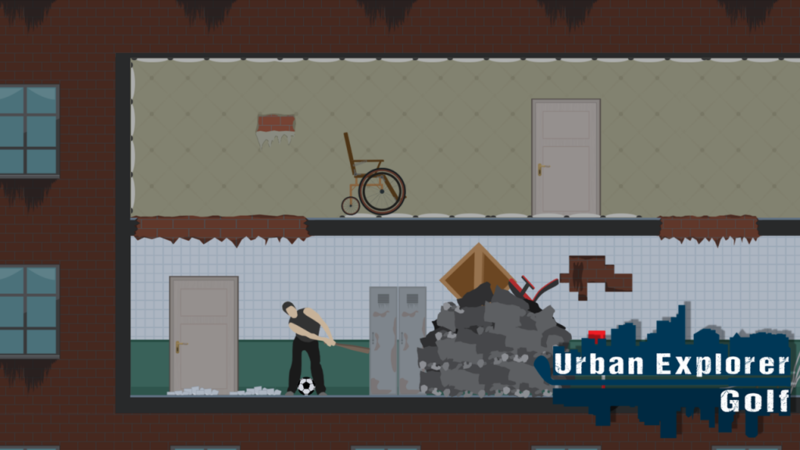 Urban Explorer Golf has started its Early Access phase! Just go to our Website http://www.urbanexplorergolf.com and you will see the new “Purchase the Game” section. The game costs 5,99$. For this price, you get instant access to the game and all future updates (weekly updates are usually uploaded on Fridays). We also have a Mac OSX version for Apple users in this package. If we succeed with our Steam Greenlight Campaign, every buyer (even if you buy the game right now) gets a Steam key attached to the order. To be able to do this, we need your support! Click on the big green banner underneath the Purchase the Game section or go to the Urban Explorer Golf Greenlight Page via your Steam App (Community -> Greenlight -> Search for Urban Explorer Golf) and vote for the game! You can watch the development of the game every weekday on twitch (http://www.twitch.tv/dizelabs). If you have questions, problems or suggestions, write us a message on Facebook, on Twitter (@dizelabs) or via mail (support@dizelabs.com).